MALACAÑANG on Tuesday, April 16, offered prayers to France, after a catastrophic fire swallowed Paris's 850-year-old Notre Dame, destroying the world-famous cathedral's iconic spire and part of its roof. In a statement, Presidential Spokesperson Salvador Panelo said the Philippine government was "deeply saddened and bothered" by the massive fire that broke out at Notre Dame Cathedral. "The Notre Dame Cathedral is an architectural treasure, symbol of Catholicism which housed several historical artifacts, and beloved icon immortalized by French novelist Victor Hugo through one of his novels," Panelo said. "The Palace is deeply saddened and bothered by the fire that hit the Notre Dame Cathedral in Paris, France," he added. A massive fire, which reportedly lasted for eight hours on Monday, April 15, ripped through the structure of Notre Dame cathedral in Paris, causing the roof and iconic spire to collapse. According to reports, Notre Dame has already been saved from "total destruction." Panelo acknowledged that thousands of various races "have at one time or another stood either by themselves or with their families or friends in front of this historic cathedral and marvel at its architectural grandeur." "Their sojourn there left beautiful memories engraved in their hearts and recorded in photographs," he said. "Pain and sorrow were felt by the millions upon hearing the catastrophic fire of the Notre Dame place of worship," the Palace official added. French President Emmanuel Macron vowed to rebuild the historic cathedral by launching an international fundraising campaign. 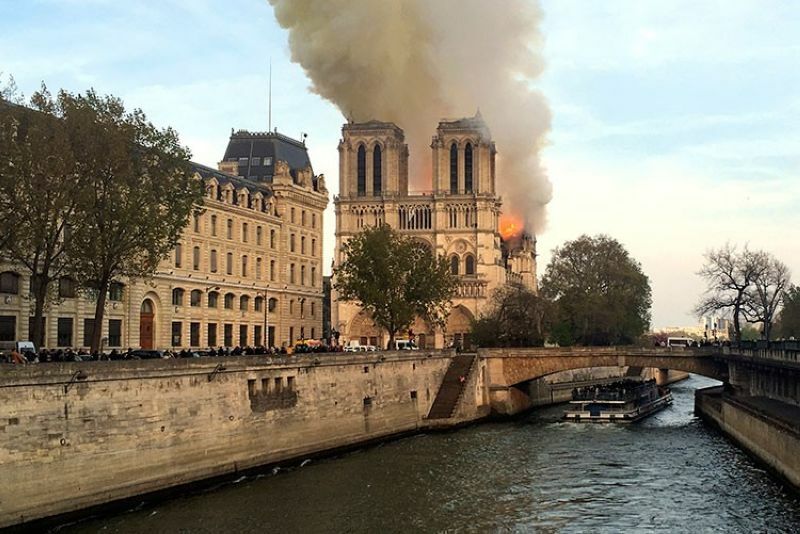 Panelo said the Philippines was optimistic that France would be successful in its renovation work to bring back the beauty of Notre Dame.